The Upbeat Dad! : Someone’s Gonna Have a Breakout Year, Why Not You? Someone’s Gonna Have a Breakout Year, Why Not You? As we prepare to enter the first full week of the new year, I just wanted to give a brief post today to prepare us for a banner year – an awesome year, full of great accomplishments. I can’t wait to get going because I envision some wonderful things happening! And I hope you do too. I remember when I was studying at the University of Texas at Austin, I struggled mightily my first two years. Somehow, something just wasn’t clicking. Then, it’s like a light bulb went on in my head and woke me up. Here’s what I learned: The University had 50,000 students and I was just one of them. Whether I stayed or left, the University was fine – it wouldn’t be affected either way. I, therefore, had to force myself into a position where I got what I wanted from the University. At that same time in the early ‘90s, the Dallas Cowboys were entering a new era in the great history of their franchise. Arkansas businessman Jerry Jones recently bought "America's Team" and was ready to lead them in a new direction. 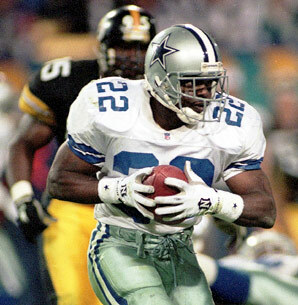 Jones and the Cowboys chose University of Florida running back, Emmitt Smith, to spearhead their running attack. That draft pick was a surprise to many because many so-called experts and pundits said that Smith was undersized and predicted that he would not experience much success at the professional level. Smith would go on to set an NFL record for most career rushing yards, breaking the record previously held by the great Walter Payton. Not bad for an undersized running back who could never succeed at the professional level, right? 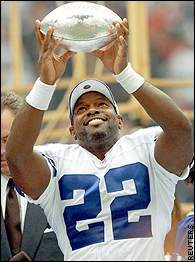 I drew energy from the turnaround of the Dallas Cowboys and the achievements of Emmitt Smith. That energy inspired me do a 180 degree turnaround in my academic performance and I went on the have an extremely successful time in my studies. I have never forgotten this profound lesson that I saw played on the football field. Here’s where I challenge you – even in the midst of an economic downturn, someone is going to strike it big this year. There will be a new media darling. There will be a new hot stock. Someone will be in high demand by media sources for interviews. Someone will sign a multi-million dollar deal. In other words, The Dallas Cowboys will have a starting running back so why not you? Why can’t you be that superstar that the world has been looking for? As I say this, let me hasten to say that part of your responsibility as you rise to stardom is that you keep your priorities straight. Your family responsibilities are first and then everything else follows. Don’t be like those who finally get their breakthrough and feel they need to change spouses. Some people think like that you know. And others, while their successes cause a demand on their time and schedule, are willing to sacrifice their spouses and children in the pursuit of happiness. Would it not be tragic if you gain wealth and fortune and lose your most important relationships in the process? I would classify that as being a successful failure. Let’s learn from those who have taken this road to nowhere, only to realize that your home is the only place where unconditional love and care are a given. Anything else might be a risk that isn’t worth it. Let’s make this the greatest year of our collective lives to date. Won’t you save this post and talk to me later this year - on December 31. And we’ll see who the new stars are. And who had the breakout year. I'm counting on you! 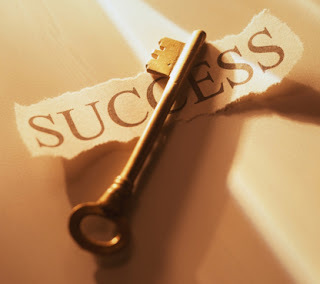 I believe you will be one of the success stories! I believe in your greatness. And I believe that your family will become closer as you rise higher. I look forward to hearing of your stories as what you envision comes to pass. I’ll close with this final though for the day: your future is bright and your future is now; now go embrace the opportunities that await you. New Milestone and Upbeat Dad of the Week Preview!